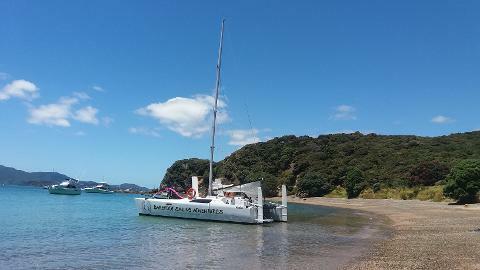 A Day In The Bay, the Kiwi Way! 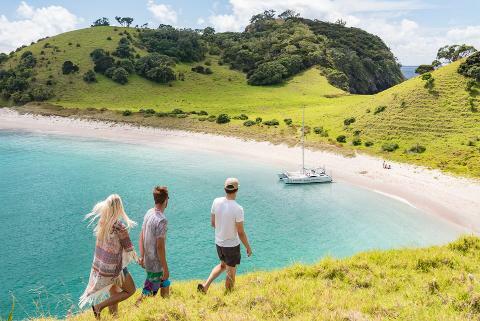 Come join the crew for a magical day cruise in the Bay of Islands. 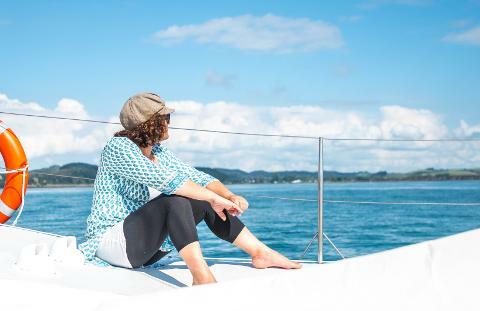 Trips depart daily from the Paihia Beach front, cruising amongst our beautiful marine playground aboard Kopiko, our 33ft performance catamaran built for speed getting you where you want to go! With lots of deck space to spread out and relax, grab a bean bag and chalk up some leisure time. 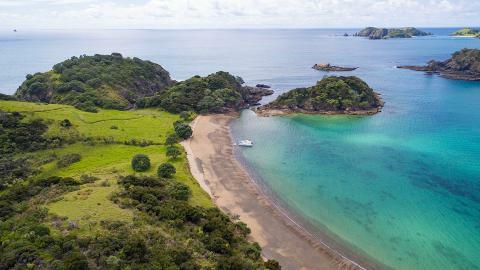 With 144 islands to chose from, the boat anchors right on the beach where you can step off and enjoy a delicious packed picnic lunch, explore the short walking trails, take a swim or simply dig your toes into the sand and relax! 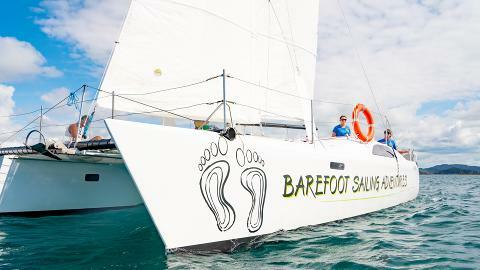 This is a great chance to experience sailing at it's best, in a world renowned sailing destination. So grab a friend, bring the family or take some time out for yourself. Come enjoy a day of sun kissed skin, windswept hair, and salty smiles!